The first days of the puppy in the house. How to prepare? How to prepare for the first days of the puppy in the house, or what if the puppy came to you quite suddenly? You will learn about how to start the learning process, what commands to teach and what to do in general for the owner whose puppy first days in the house. 18 mistakes dog breeders in the education of a puppy. Everyone makes mistakes, but the main thing is to notice them in time and try not to repeat them. What mistakes do dog breeders do about the upbringing and training of their pets? The article will help you not to repeat other people's mistakes and correct your own in time. How to raise a puppy and raise an obedient dog? It is not difficult to raise an obedient dog from a puppy, if you seriously engage in upbringing and training. Do something "half" will not work, or rather, it will, but it is hardly worth expecting a decent result. How to raise a dog obedient? Rules of education. Any dog, regardless of age, breed, physical strength and aggressiveness, can be brought up complaisant, friendly and obedient. The dog is very easy to change, which you can not say about a man. The advice of the article will help establish leadership in the family. How to train a puppy and where to start? Which teams should the puppy train first? From the text of the material, you will find out which commands are most needed when training a puppy and which ones you will use most often. Be sure to do the training from a young age. How to teach a puppy to toilet on the street? How to make a puppy go to the toilet on the street, and not at home? How quickly the puppy or dog gets used to the toilet depends solely on the hosts. This process is not complex, and will require more attention than direct knowledge. What if the puppy does not obey? What should the owners do, whose puppy does not listen to them at all? 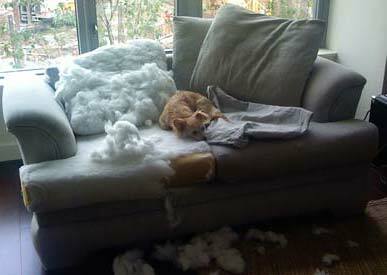 Quickly and without the active participation of the owner of the animal can not cope with disobedience. This problem is solved, but you will need investments in the form of personal time. How to wean a puppy to bite his hands and feet? It's okay that the puppy or dog bites the master hands is not. It is enough simple procedure of actions to finish this problem once and for all. As always, everything is in the hands of the master, who must be moderately strict. How to teach the puppy to the collar and leash? What should I do to make the puppy fall in love with a collar and leash or, at least, treat them calmly? The main thing is not to intimidate the animal with this ammunition. It is best to accustom to the collar and the leash by dressing them before each walk. How to teach a puppy to a nickname? One of the simplest commands, easily remembered by a puppy or a dog of any age, is not a team, but a nickname. Thanks to the delicacy and affection of any dog ​​will be happy to respond in his name. Why does the dog not grow? This is bad? Not always the puppy grows with that speed which their owners would like. Instead of thinking about the growth of a puppy, it is better to follow his diet, give physical exercises and be engaged in obedience. The puppy gets on with people. What to do? Your puppy catches everything to people in a row and you are worried that other people can steal it, or a bad guard will grow out of the dog? In fact, this is not at all difficult, if you know how to act properly in case of excessive friendliness. At what age is it better to take a puppy? Among the dog breeders, disputes over the relative age of the puppy are not abated. This question is very bloated. With confidence, we can say that the puppy can be taken from any age, but, preferably, not too early. How to choose a puppy or a dog? The process of choosing a dog or a puppy is not so difficult, and it does not have to be an experienced dog breeder to choose a good puppy. It will be great if you take a seasoned man with you to help you choose, but you can manage yourself.